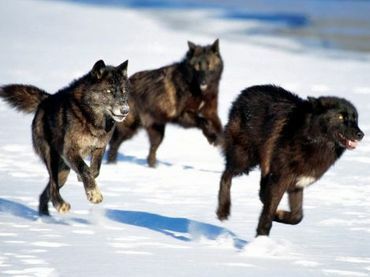 How Democrats Gutted The ESA And Sold Wolves Down The River�..
A travesty on many levels. I always supported Boxer and Feinstein, my CA senators, because they were the most viable and progressive choice, especially for women's rights. But they were on the list. They supported this filthy, unethical legislation. Now what happens for Californians next election, or for all of us?. I am tired of sending emails that barely get read (although I won't stop), but their not listening people. America is not a democracy. We are under corporate control, where profit takes place over people, animals, wildlife and the environment. A massive revolution, a militant force of people must be organized and enacted, because they are going to flush everything we care about down the toilet. Please, America. Wake up. Absolutely reprehensible. To allow the slaughter of the wolves, and making an appeal impossible, they have shown themselves as unethical and without empathy or understanding of what the environment, and the planet at large, needs. The future for these wolves will be brutal and merciless and terrifying. No wonder our societies are so violent and cold, when something that will lead to a bloody end for many of these magnificent animals is allowed by the American congress. Condoning bloody slaughter does nothing for the reputation of American politicians, which is already in shreds. Bastards! i will never trust Boxer and Feinstein again.